Wengang Mao holds an MSc in Naval Architecture and Ocean Engineering and got his PhD in Mathematical Statistics in 2010. He has been working in China Classification Society (CCS) for about 2 years as a ship structure engineer. 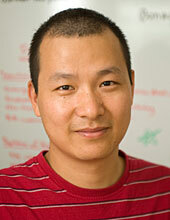 His current research focuses on the fatigue and reliability analysis of ship structures, Statistical modeling of ocean waves, wind & wave loads, computation of ship structural dynamics and seakeeping analysis.Wengang Mao’s research contributes to Chalmers Areas of Advance in Transportation and Energy. He is also a member of The International Ship and Offshore Structures Committee (ISSC): the Technical Committee III.2 (Fatigue and Fracture). Proceedings of the International Offshore and Polar Engineering Conference. 25th International Offshore and Polar Engineering Conference, ISOPE-2015, Hawaii, 21-26 June 2015. What is the potential of using ship fatigue routing in terms of fatigue life extension? There might be more projects where Wengang Mao participates, but you have to be logged in as a Chalmers employee to see them.